"JJP talks about his career and philosophy behind mixing and producing records before answering viewer questions in "The Corner Office". This is a very special episode as Pensado's Place has partnered with Vintage King to power the "Batter's Box" segment! Puig dishes on his favorite gear in certain applications, and viewers get insights into how and why Jack uses specific outboard gear and software. This is an epic episode you can't miss!" Audio Damage is a company with a penchant for making unique and sonically pleasing plugins at very reasonable prices. 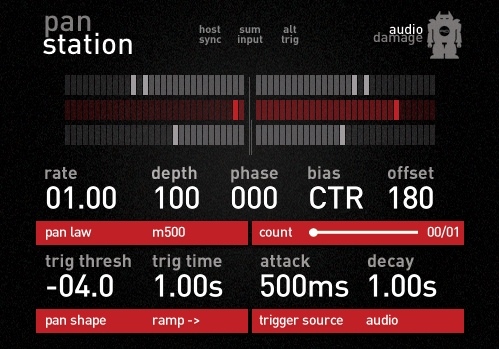 Their latest offering is the PanStatiom which does auto -panning and tremolo as well as stereo widening effects. 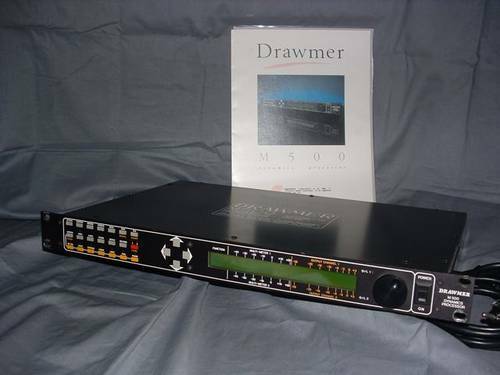 The PanStation is based on the Drawmer M500 and Audio & Design's PanScan ( which I've used a great deal in the past). Audio Damage states that they decided "to create the most sophisticated auto-panner/tremolo plug-in there is. With a feature set borrowing liberally from the M500 and the PanScan, Panstation is a complete professional toolbox of panning and tremolo effects behind an easy-to-understand and simple-to-program user interface." • MIDI Learn for full MIDI CC control over every parameter. Visit Audio Damage for more info and audio demos of the Panstation. At $39 it's a no-brainer. (Audio Units and VST only. No RTAS).